The Beatles Through The Years: Photo of the Day: John Lennon, Paul McCartney & George Harrison. 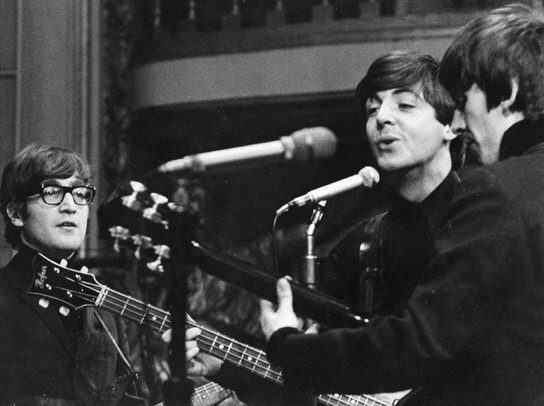 Photo of the Day: John Lennon, Paul McCartney & George Harrison. John, Paul & George record for BBC Radio in 1963. Note John wearing his Buddy Holly style glasses!